Remembering Natalie Cole, Who Made A Name All Her Own The influential singer not only lived up to her father, Nat King Cole's legacy, she forged a new one entirely her own. 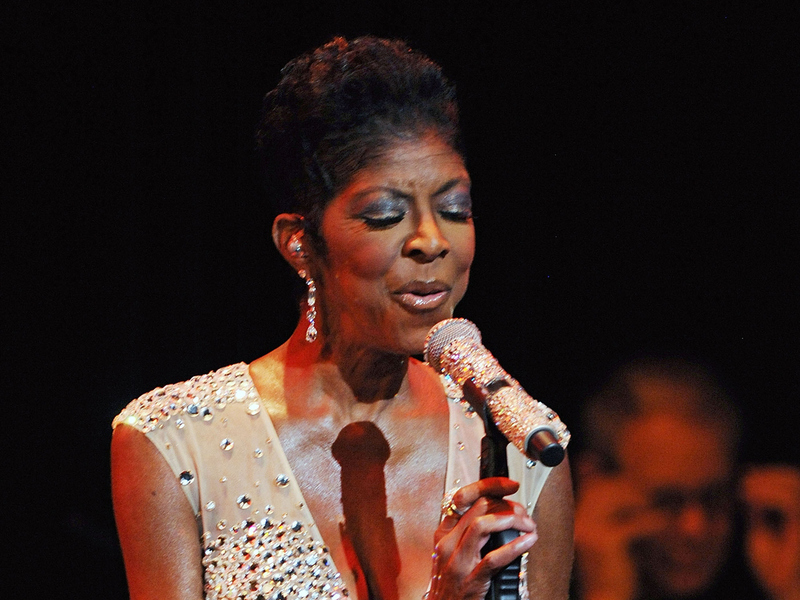 NPR's Scott Simon looks back on a 2013 conversation with the late Natalie Cole. Famous names can be hard to live up to. Those who carry them are born with expectations, as well as advantages, and the sons and daughters of famous people have to make their mistakes and learn their lessons under a lot of watchful eyes. When we spoke with Natalie Cole in June of 2013 (you can listen to the entire interview below), she had just recorded an album of Spanish language music, as her father had, in the 1950s. Natalie Cole told us that when she started out on a singing career, she avoided any comparison to her father. SIMON: He made Capitol Records. COLE: He certainly did. The house that Nat built. But they did not insist on that, whereas I went to two other labels and they said, well, are you going to sing your father's music? And I said no. And it took 15 years into my career before I felt comfortable and confident enough to even attempt at singing my father's music. Like a lot of famous fathers, Nat King Cole was often away from home. He died when Natalie was just 15. She had some rough times in the years that followed, sometimes making her own name in all the wrong ways, with drugs and drink. But she sought help, and she persisted, having her own R&B hits in the 1970s before she recorded a 1991 duet with the recorded voice of her father that sold over seven million copies and won many Grammys. SIMON: And he was astonishingly young - just 45. COLE: I believe that, you know, he guides me. Dad led by example. You know, he was not a big talker of, 'You got to do this and you got to do that.' That was not him. He led by example. And I watched. I was very observant. And I learned so much from my father. And he continues to be my number one inspiration. Natalie Cole, who died this week in Los Angeles after an illness. She was 65.